“Founded in 1988, Fontanus: from the collections of McGill University, was conceived as an annual scholarly journal edited and produced by McGill Librarians. The primary purpose of Fontanus is to showcase the University Library’s extensive rare and special collections through in-depth scholarly articles which interpret or showcase particular collections. 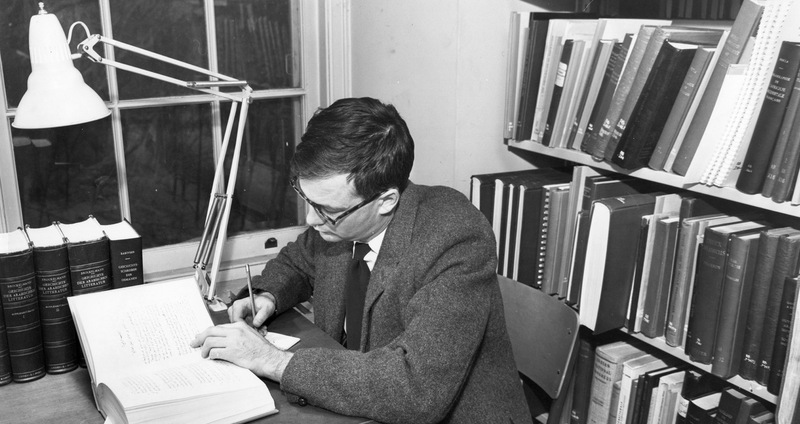 Like McGill’s collections, the subject range of the individual articles run the full spectrum from Science, Medicine, Law and the Humanities and Social Sciences. A long standing feature of the journal includes a Notes and Collections update section which provides users with information on new and noteworthy collections acquired by the Library. Each issue is produced with an attractive layout and is richly illustrated. The thirteenth volume of Fontanus presents nine articles and three briefer “Notes and Comments” based on a wide range of McGill University collections. The McGill University Archives provided the main sources for six of the articles; the other articles mined holdings of the McGill Library’s Division of Rare Books and Special Collections, the Osler Library of the History of Medicine and the Islamic Studies Library.” – from the Fontanus website. The current issue of Fontanus is now available online here. A special thanks to our contributors Gordon Burr, William Fong, Daniel Hickey, A.J. Hobbins, Svetlana Kochkina, Peter F. McNally, Robert H. Michel, Sean Swanick, and Macy Zheng and to our Digital Initiatives team for their technical support.